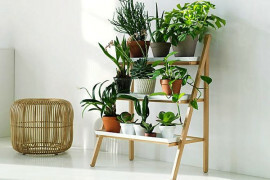 At the same time, leaving pods in their natural state can be just as appealing, adding an earthy modern accent to your interior. 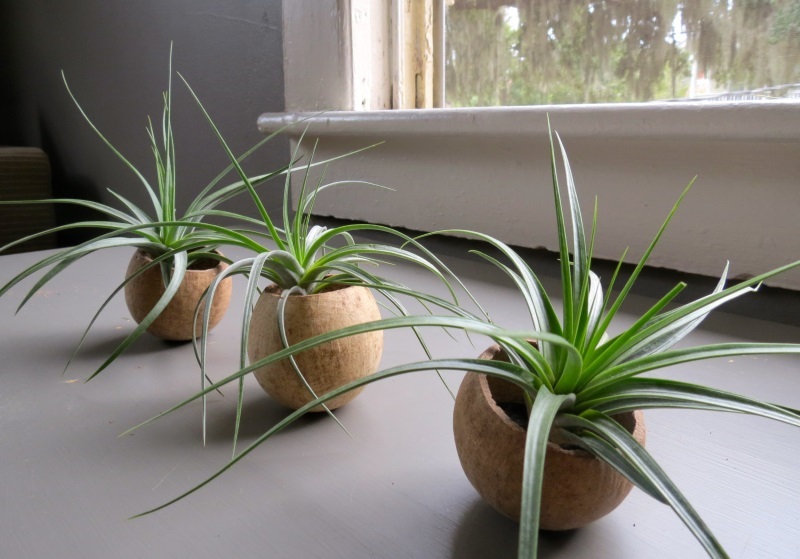 Check out this Set of 3 Natural Seed Pod Containers from Air Plant Design Center , which includes the air plants. 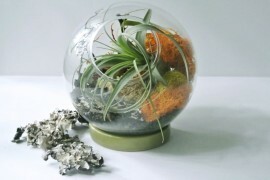 In fact, the air plant of choice here is the Concolor , which boasts long leaves that add a touch of contemporary drama! Not all pods come from nature. 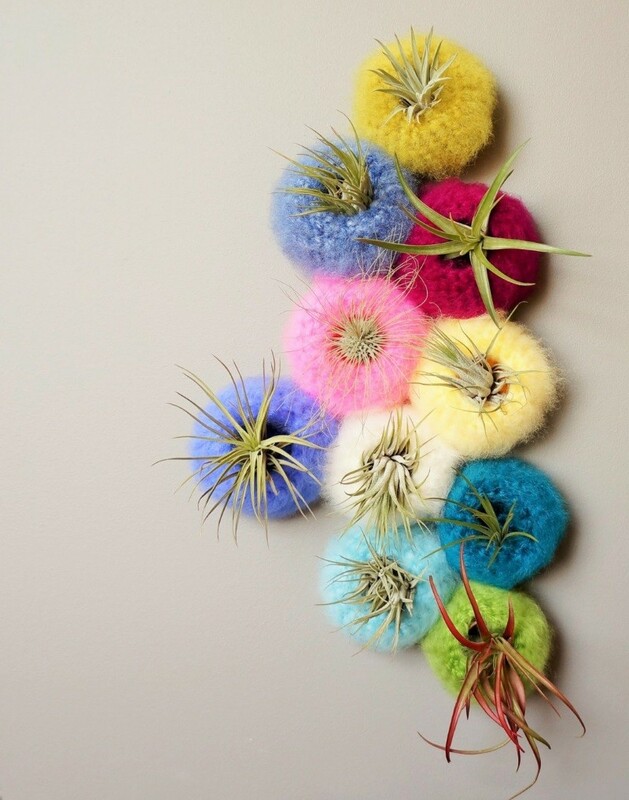 We’re quite taken with these Mini Spun Sugar Air Plant Pods from Lemon Cucullu, crafted from acrylic yarn. 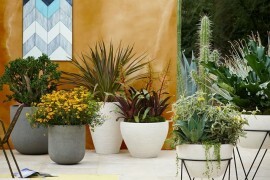 As mentioned in the description, they’re “texture heaven”! 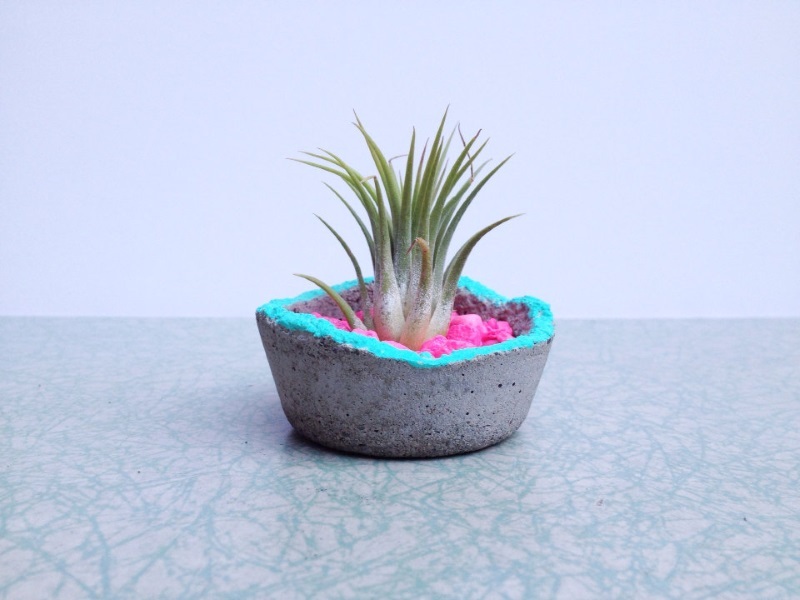 Let’s hear it for concrete! It’s sturdy. 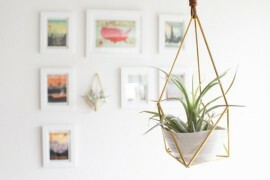 It oozes modern style. 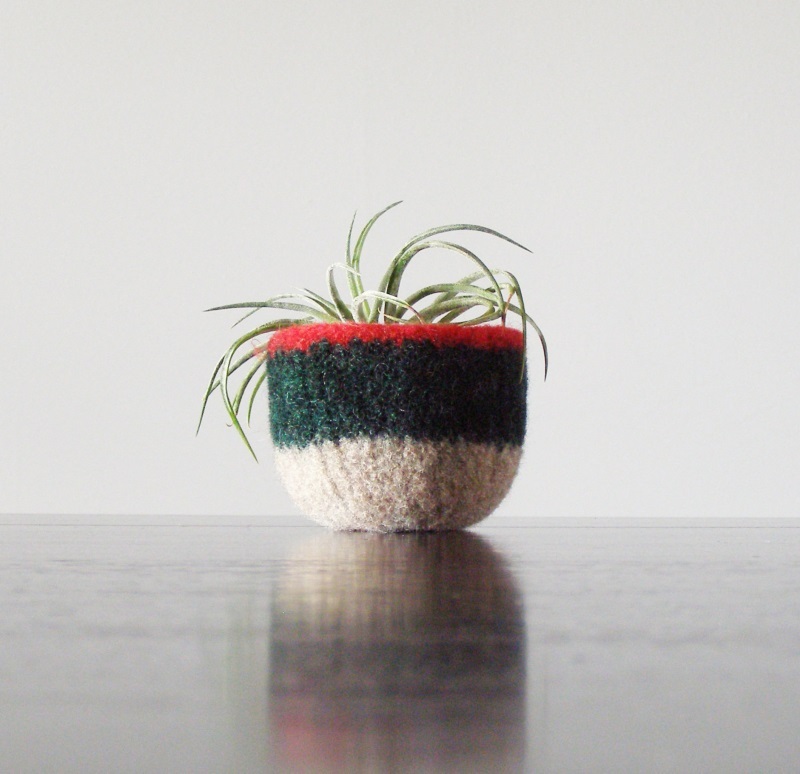 And it’s a super popular air plant container material! 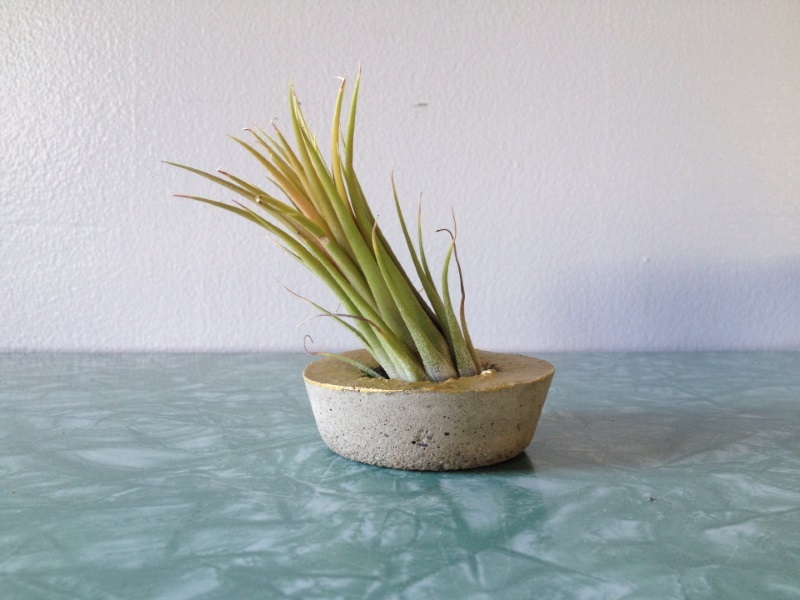 This Mini Concrete Air Plant Container from ReRunRoom is accented in metallic gold. 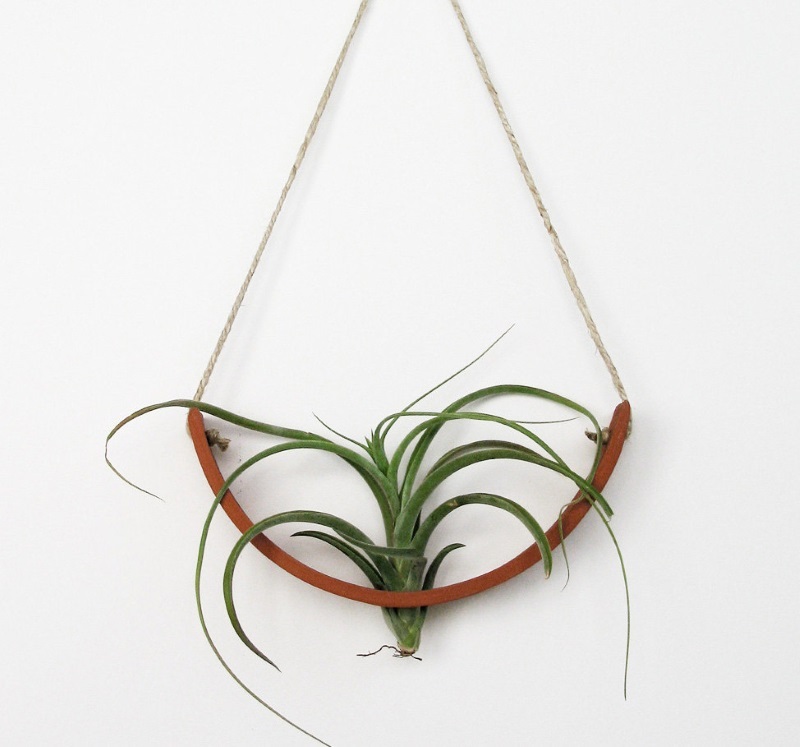 Purchase it with or without the air plant–your choice. 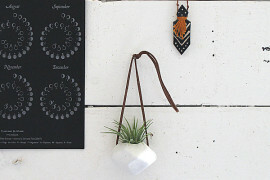 Yes, geo style is still going strong. 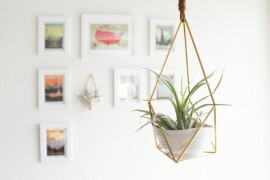 It’s no surprise that some of this season’s most popular air plant containers are of the geometric variety. 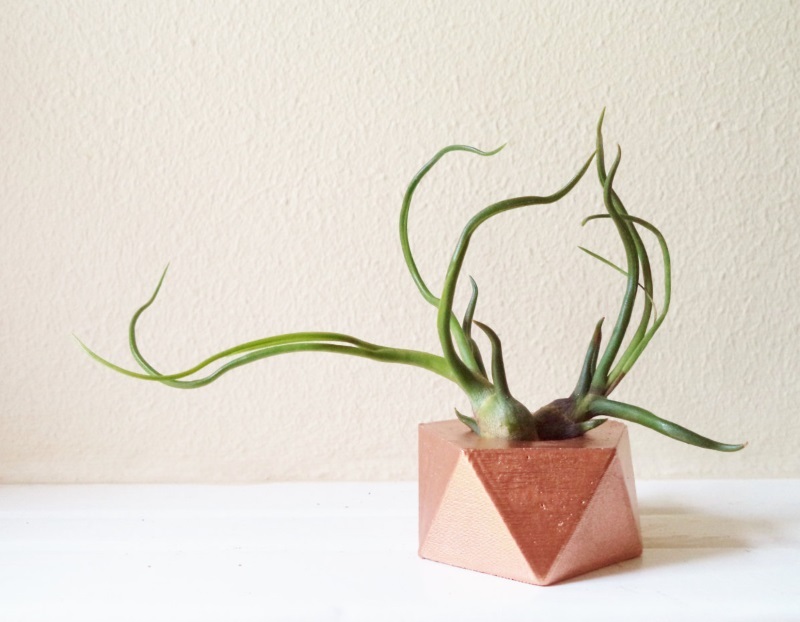 Like this Mini Geometric Planter from Redwood Stoneworks, available in copper, gold or any color you desire. 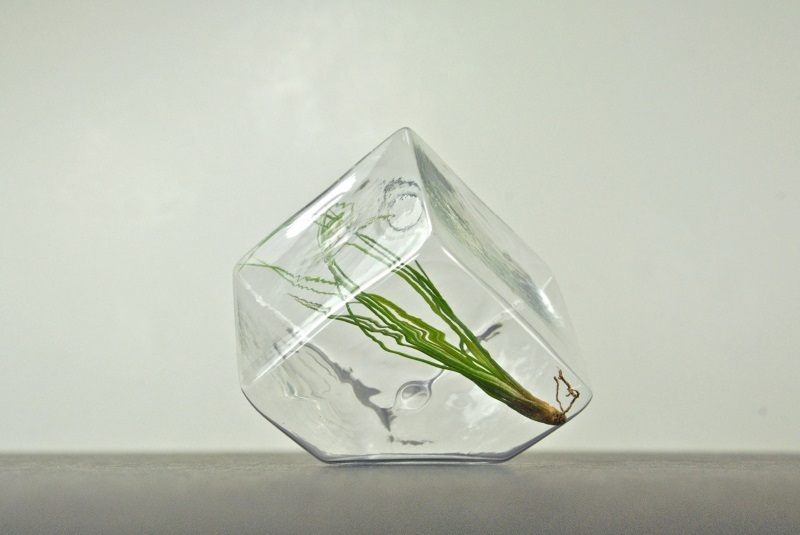 Love the facets! 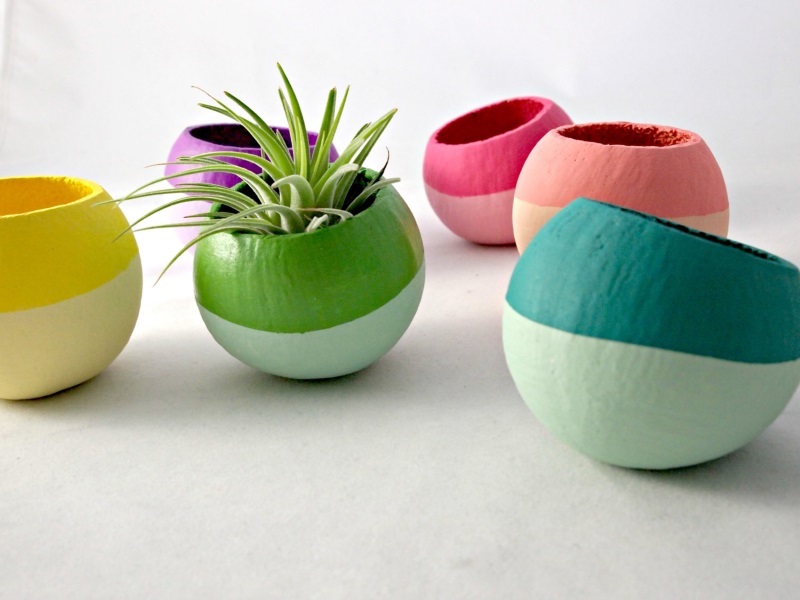 Geo style can come from striking forms, as well as the clever use of paint. 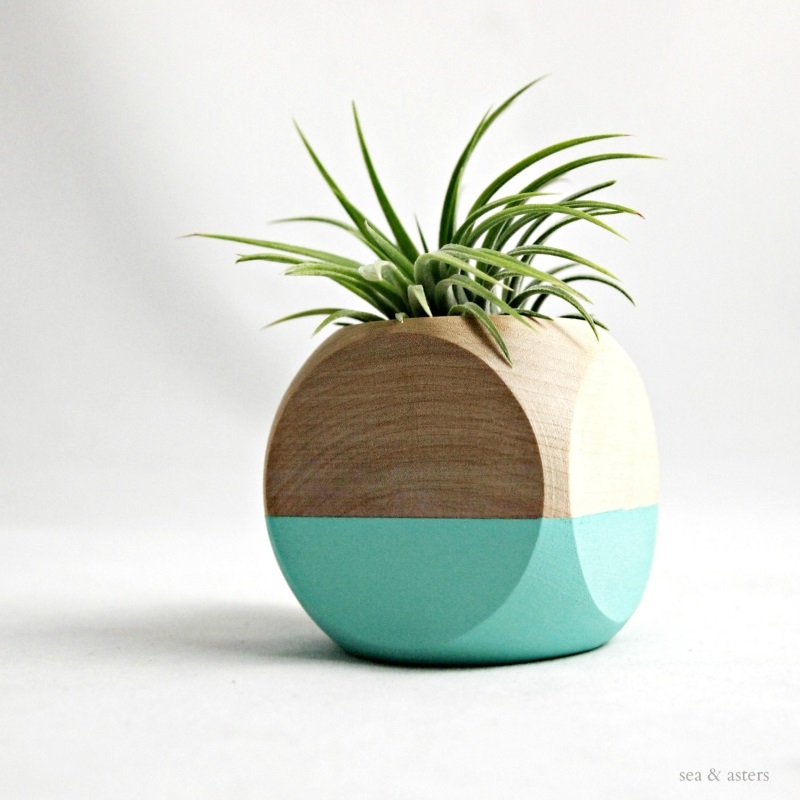 Natural wood meets vivid color in this Geometric Air Plant Cube Planter from Sea & Asters, creating a colorblock effect. 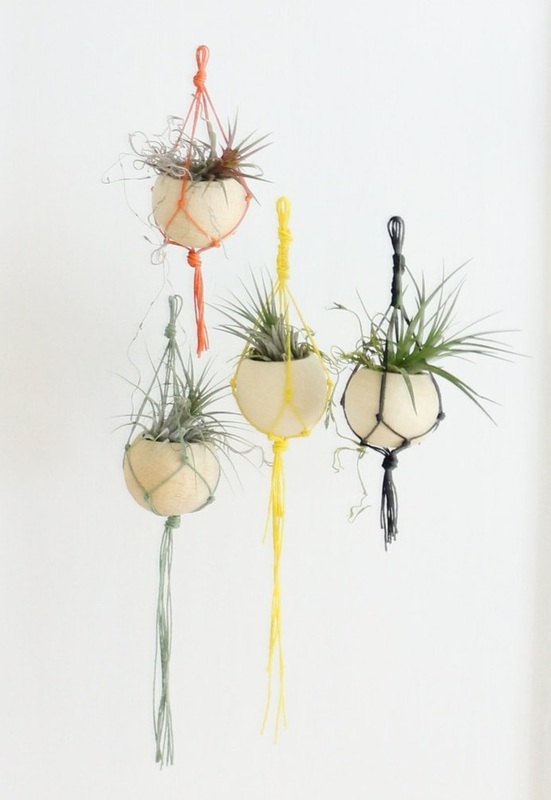 And yes, the air plant is included. 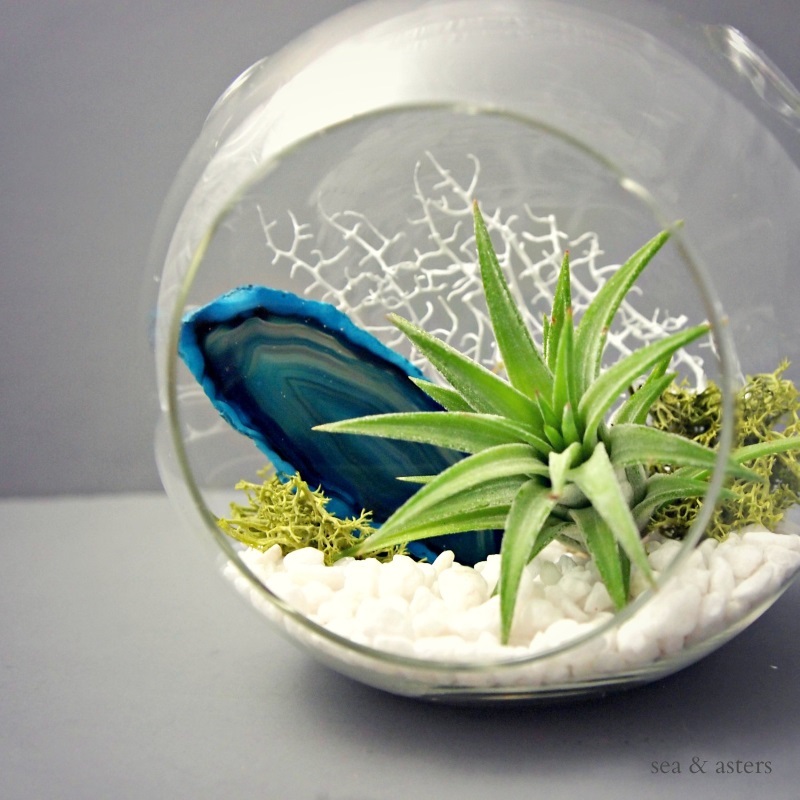 Minerals are the perfect complement to whimsical air plant silhouettes, and this Turquoise Agate Mineral Air Plant Terrarium from Sea & Asters celebrates the combination of greenery and rock. 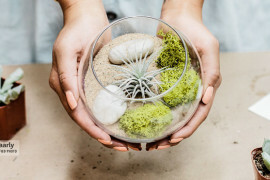 The kit includes the glass globe, the air plant, the agate, chartreuse reindeer moss, white gravel, a white sea fan, and an air plant care sheet. 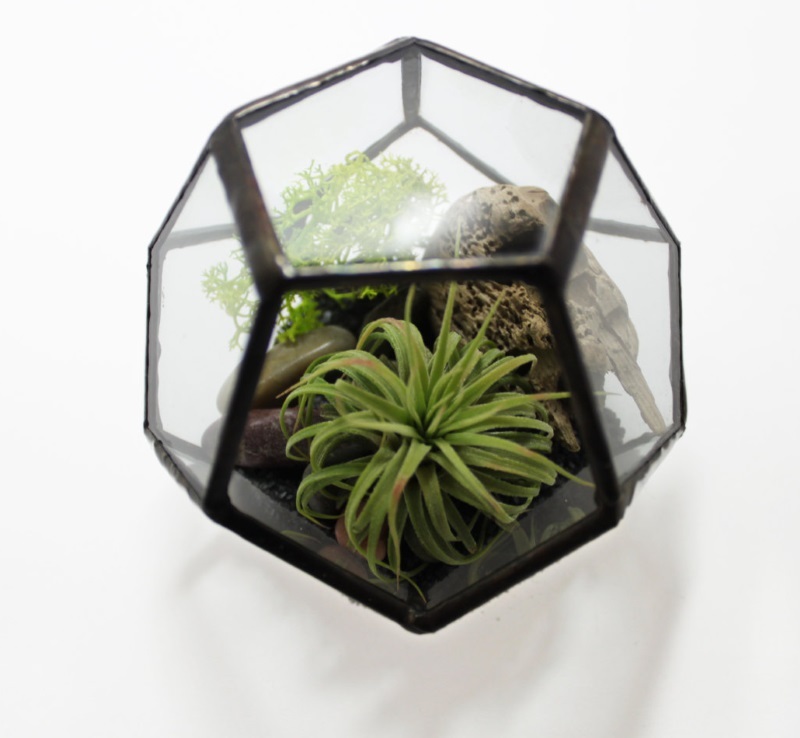 There’s something so delightfully modern about this Air Plant Terrarium from Optical Conclusions. 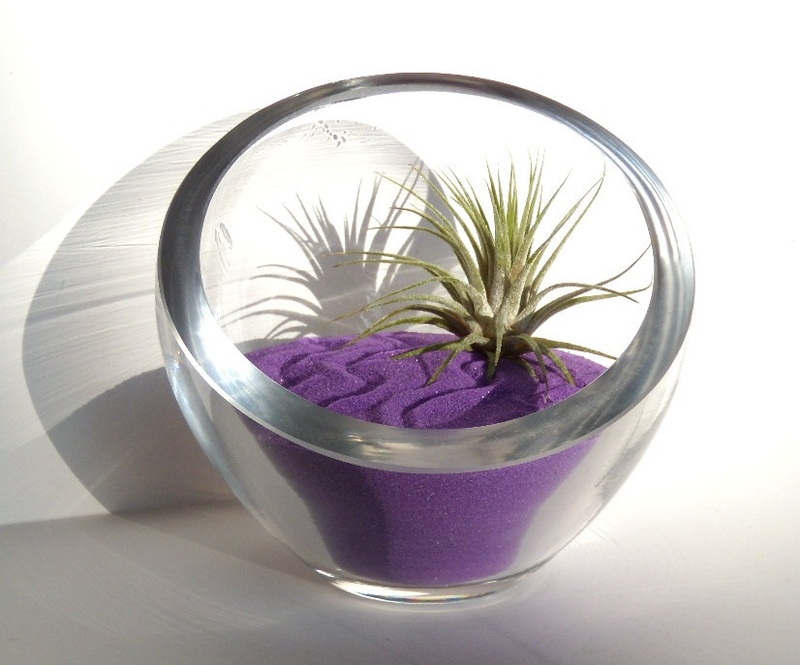 Perhaps it’s the simple yet strong form of the blown glass container or the unexpected dash of purple sand. Stunning! 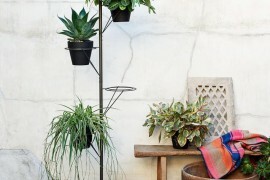 Geo style meets hanging planter possbilities in the Hanging Geometric Planter from Urban Geometry, available in brass, copper or aluminum. Himmeli at its finest! 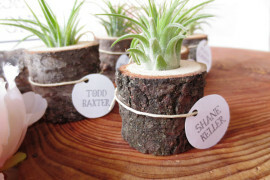 Next up: Real Wood Cork Bark with Tillandsia Abdita Air Plant from Air Plant Studio. 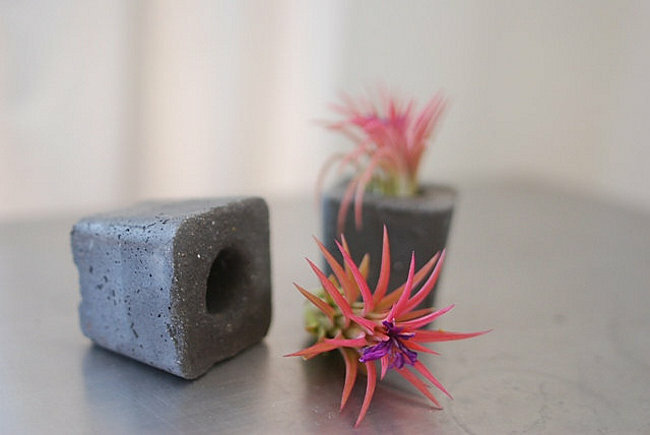 Air plants are often attached to rocks and crystals with the help of glue (yes, they can still thrive when adhered to a surface), but cork is emerging as a new material of choice. 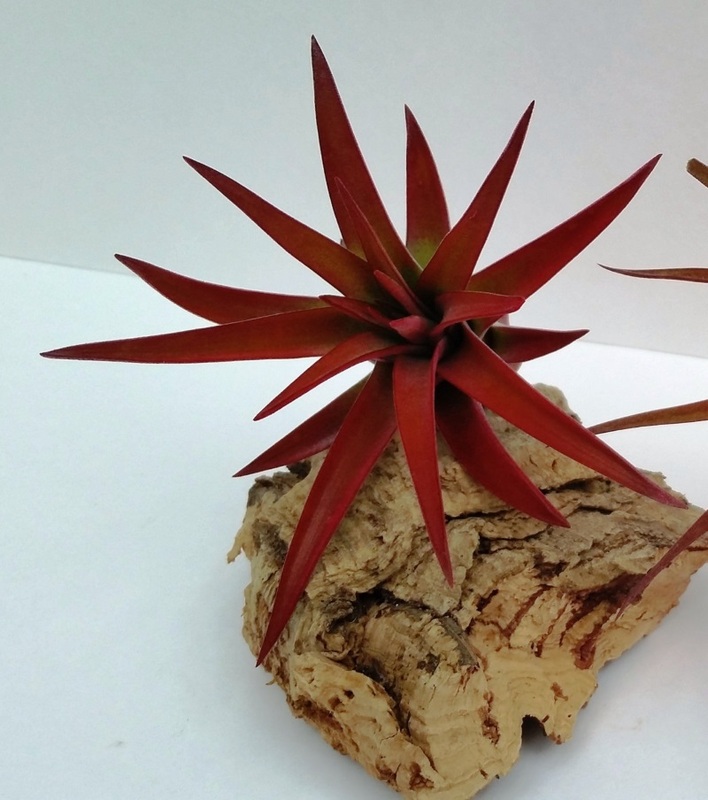 And how about that dark red Abdita air plant! 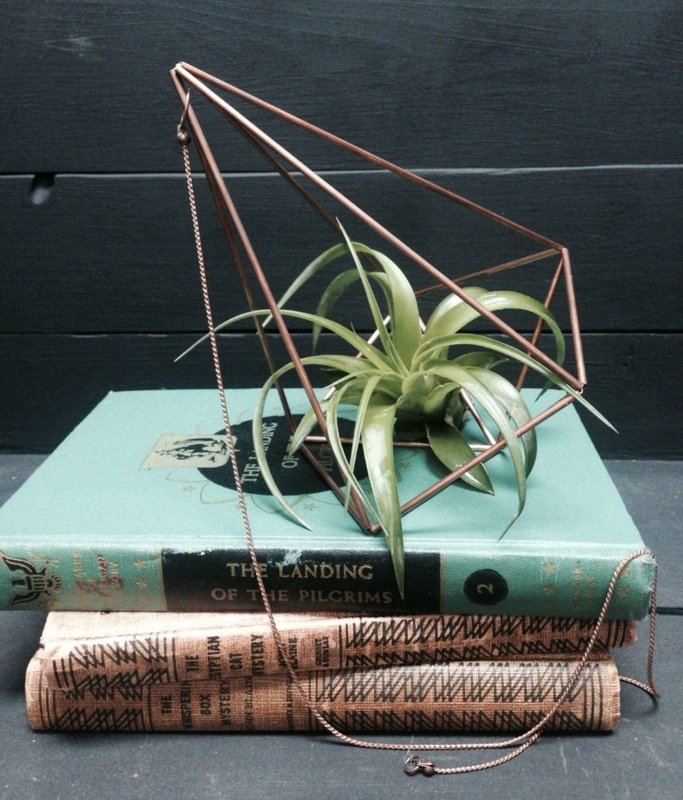 Your order is accompanied by extra glue, as well as a published e-book on air plant care.